Here's a continuation of my outdated post. 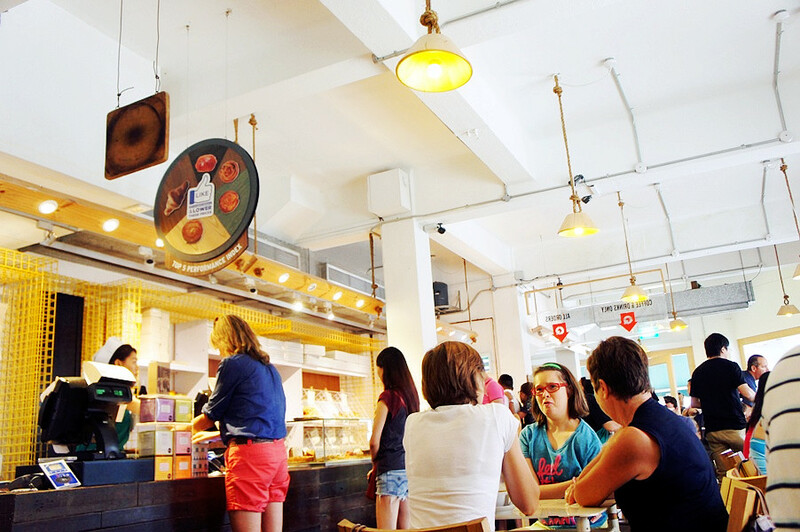 My trip to Singapore was more to a food hunting session rather than sight-seeing. So let me introduce you the place I visited during my short stay. 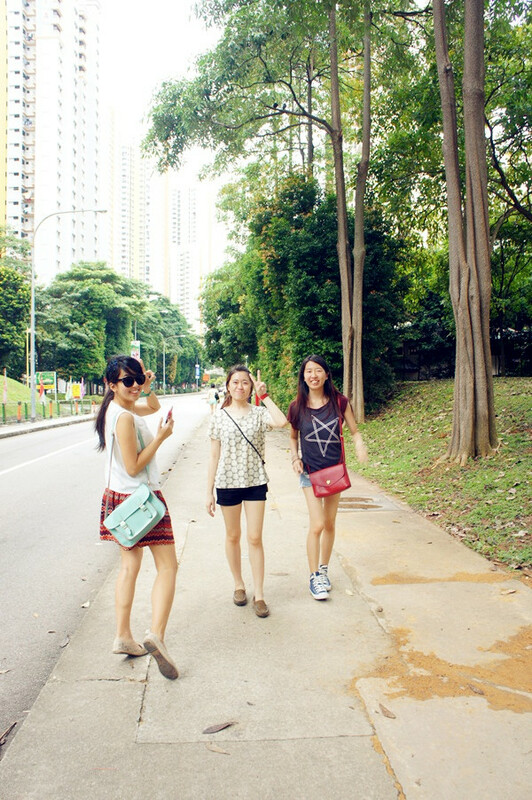 Day two involves a lot of walking, like super damn a lot! 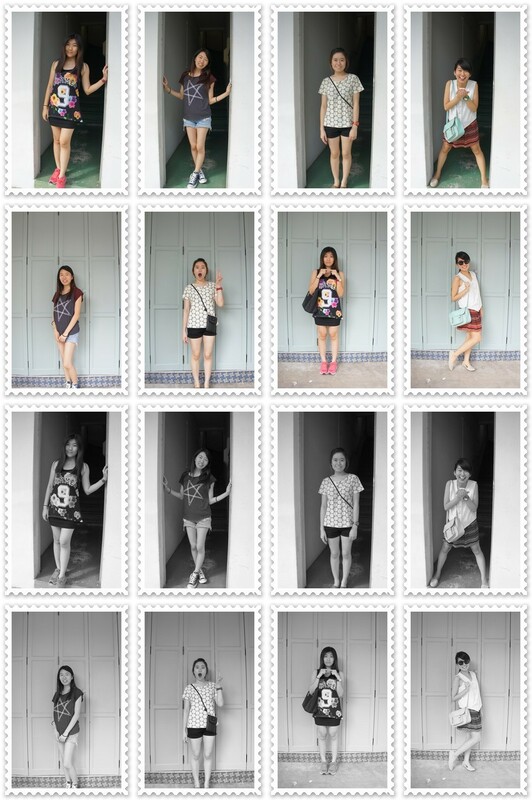 No wonder la most Singaporeans damn slim. 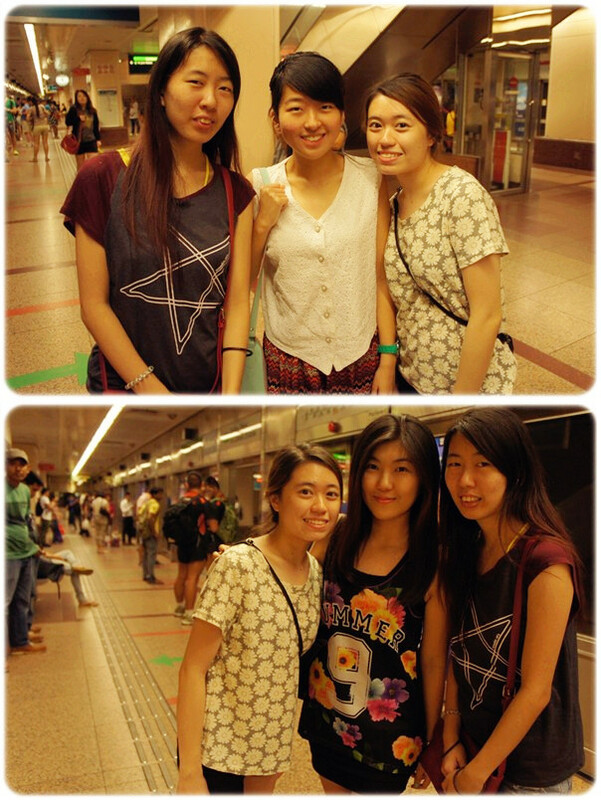 We started our journey in the afternoon. 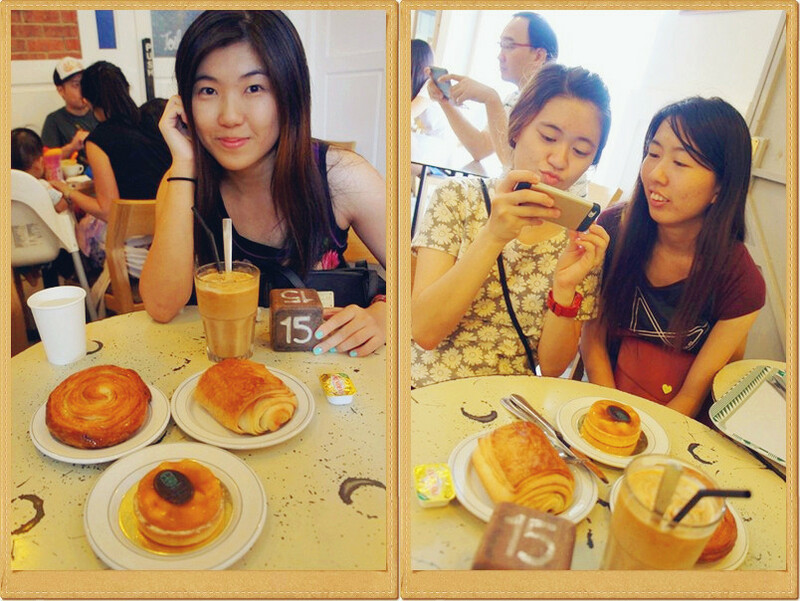 Our first destination was to locate some cafe around Tiong Bahru. Luckily the weather wasn't that hot and sunny. However, I still sweat a lot. Came across to one of this cafe that contains hundreds and thousands of bottle caps were embedded in cement to form a very unique looking 'tiles'. 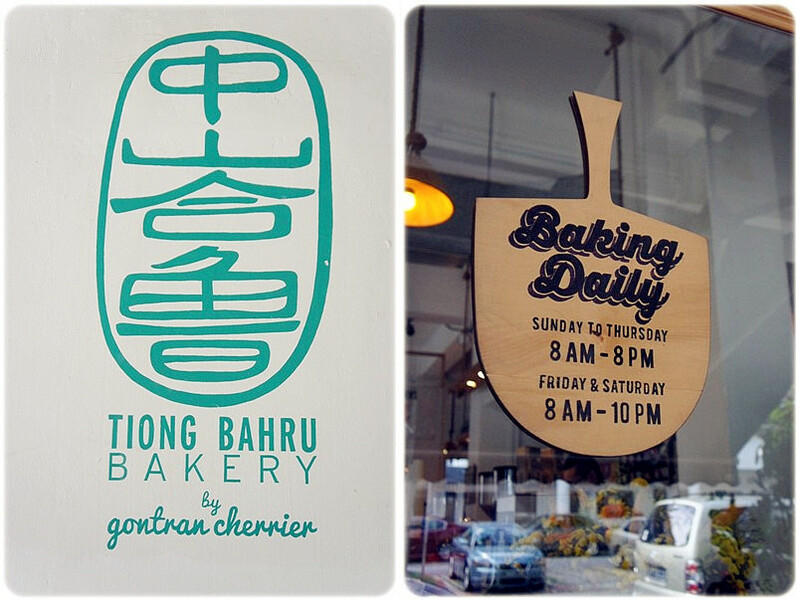 And so I've heard that this bakery is quite 'the hot' place to lepak in Singapore - Tiong Bahru Bakery. They have 3 outlets so far in Singapore. For further information on the two other outlets, click the link below. The space was quite small-medium. Having our tea break after all the long hours of walking. 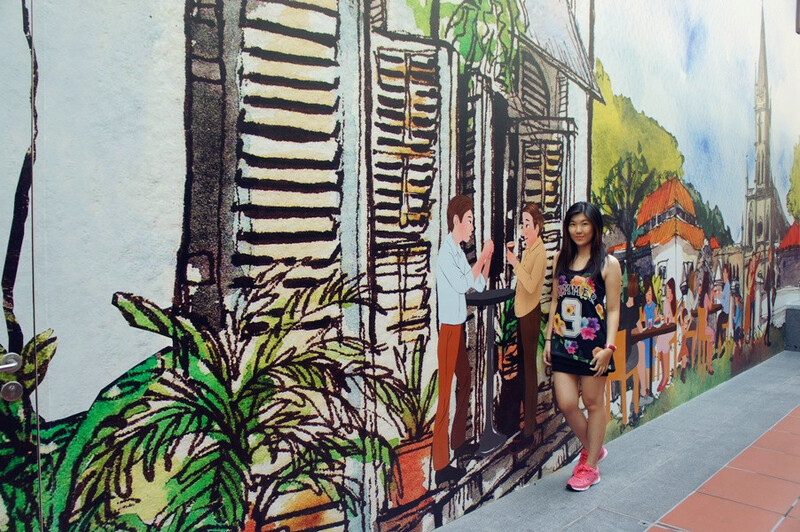 A beautiful wall painting at an isolated place. 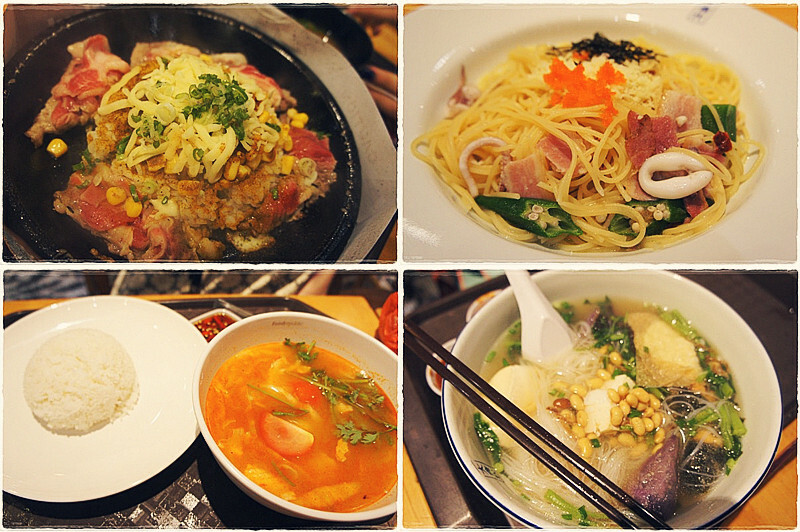 Dinner at one of the malls around Orchard Road. 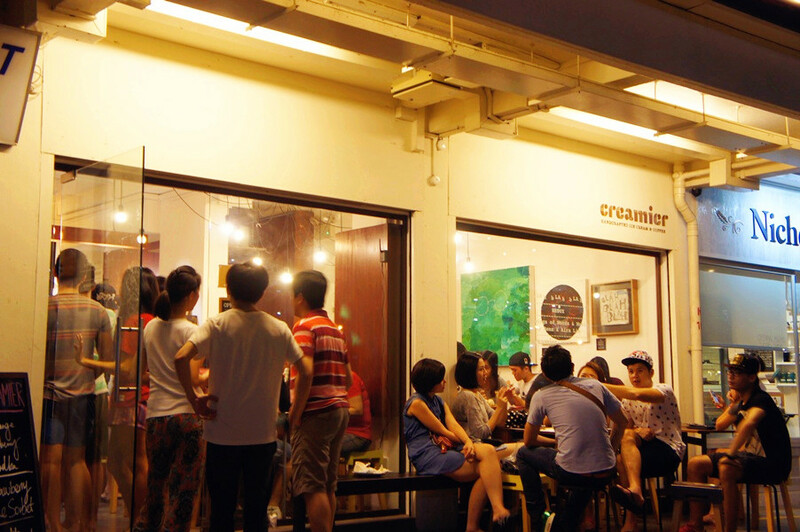 Lastly, we visited this home-made ice cream outlet which is located at Toa Payoh. Ice creams are their specialties. All of the ice creams were self-made. The place was pretty tiny. It can only allocate a certain number of people only. 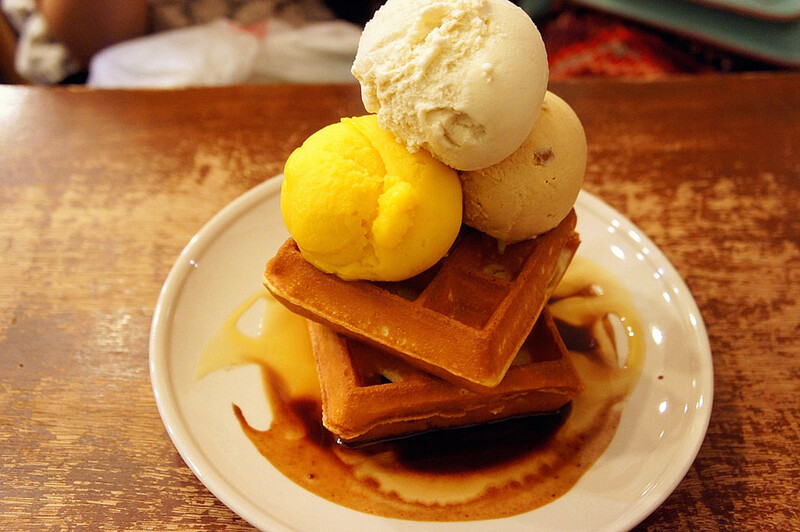 Waffles with ice creams are one of their best selling product. 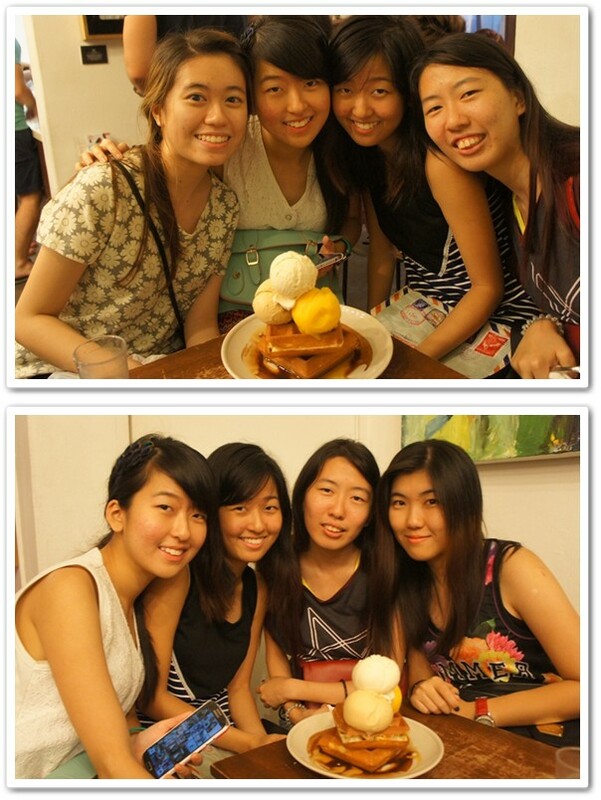 Our waffles and ice creams which cost 15SGD. Yeah I almost got the shocked of my life if I would to convert the currency into Ringgit Malaysia. The price differs from the flavours of ice cream you opt for as your topping. We had Mango Passion Sorbet, Earlgrey Lavender and Butterscotch Almond. One word to describe the taste of it. FOODGASM! Wish we could do this more often. Overall I enjoyed my short getaway except the part where I got stranded in Larkin, Johor Bahru bus station with no bus ticket back to Melaka. Yeap. The clever me did not buy any bus ticket back beforehand assuming that 'oh well I bet everybody is going to stay at home due to the bad financial problem'. Dang! I was wrong man. Everybody so kaya punya. Jalan sana sini macam tak perlu pakai duit. So it took me not the normal 4 hours to reach Melaka from Singapore but almost 10 hours!